Google says it doesn't have plans to expand into the Gold's Gym space when the lease expires. The lease held by Gold's Gym in Venice, the so-called mecca of bodybuiding made famous by bodybuilder Arnold Schwarzenegger and the 1977 film Pumping Iron, will expire at the end of June 2014 and Google will get a new lease on the property when it expires, officials said. Larry Field, a real estate mogul who is the founder and principal of NSB Associates, owns the Gold's Gym property in Venice and Google has signed a new lease for the roughly 31,500-square-feet property effective July 1, 2014, said NSB Associates spokesman Alexander Auerbach in an email Monday. Google says they don't plan to move into the gym. "We have no plans to expand into Gold's Gym's space. In fact we are working with them to extend their lease," said Jordan Newman, a spokesman for Google on Tuesday. Google moved into the Frank Gehry-designed Binoculars Buiding in Venice last year and its expansion plans have been the subject of much speculation. Google is leasing several properties in the area and taking occupancy as the existing leases expire, Auerbach said. The Venice buildings include the Binoculars Building and buildings currently or formerly occupied by Digital Domain, he said. The properties that Google will occupy eventually will total about 200,000 square feet, Auerbach said. Joe Gold opened the original Gold's Gym in 1965 in Venice and it became a bodybuilding magnet frequented by Schwarzenegger and other top bodybuilder and the subject of the 1977 moviePumping Iron. 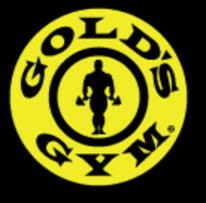 Gold sold the chain in 1970 and it has gone on to become the world's largest chain of co-ed gyms. The gym's famous logo that shows a bald-headed weightlifter holding a barbell was designed in the early 1970s by Schwarzenegger's one-time training partner, Ric Drasin. The Venice location has been a longtime workout destination for bodybuilders, actors, celebrities and athletes. 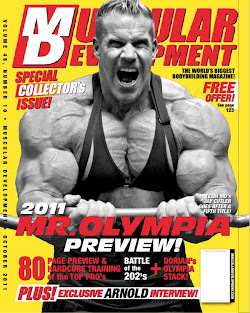 Muscle Week magazine in a report last week gave an update on Google and Gold's Gym and theL.A. Weekly in a blog posting Monday confirmed that Google would lease the space starting in July 2014. Be sure to "Like" Venice-Mar Vista Patch on Facebook and follow us on Twitter.